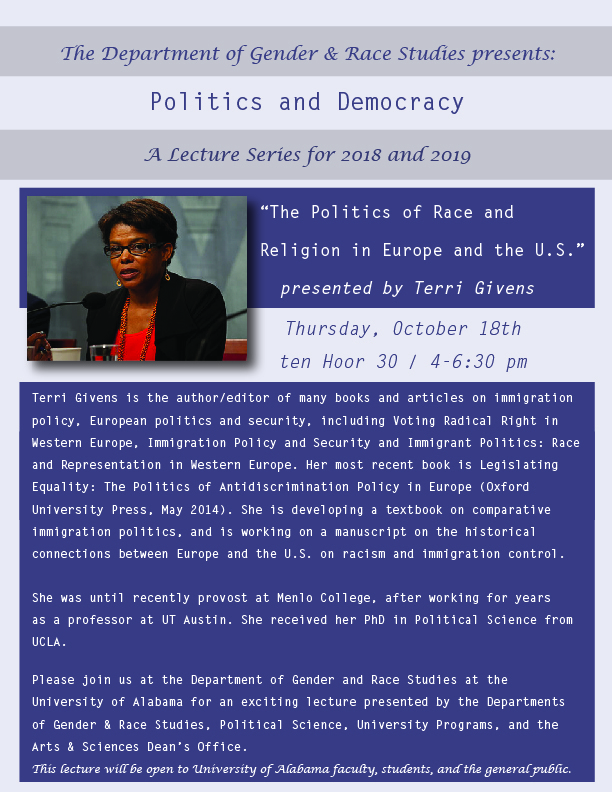 The Department of Gender & Race Studies is pleased to host UA Guest Speaker Terri Givens, who will speak to UA faculty, students, and the public on Thursday, October 18th, 2018, from 4:00 pm – 6:30 pm in ten Hoor Hall room 30. Please join us! connections between Europe and the U.S. on racism and immigration control.